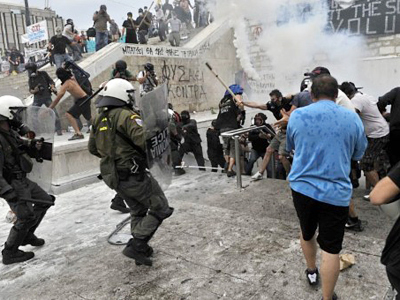 Greek protests against the new austerity measures can be viewed as a way of standing up to EU neo-colonialism, both economically and politically, believes Professor Costas Douzinas from the University of London. Greek protesters are gathering for another day of rallies after the country’s parliament approved new austerity measures needed to avert a debt default in the country. 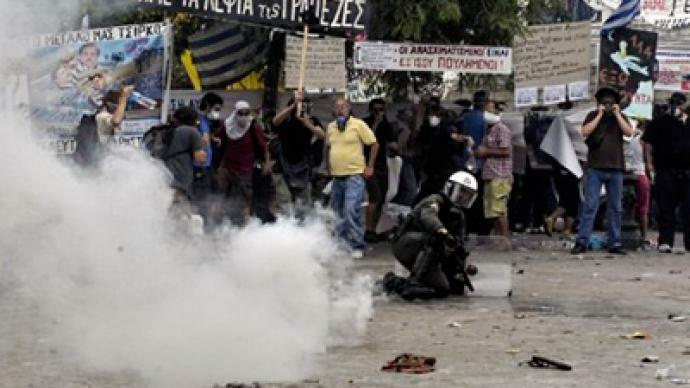 Wednesday’s clashes with police left some 200 people injured. 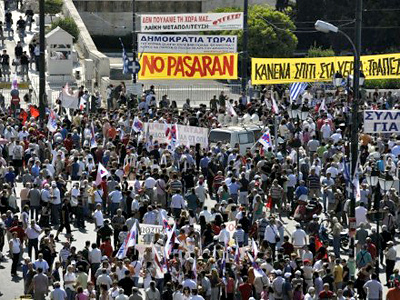 Professor Costas Douzinas expressed grave doubts whether Greece could ever leave the eurozone, either willingly or not. “It’s not clear how Greece could be expelled or could leave the eurozone. 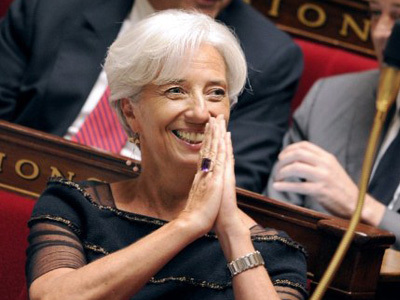 They don’t know how to administer such a huge event as a withdrawal from the eurozone. If, hypothetically, Greece is expelled, everyone will suffer from the spread of the disease,” he says. 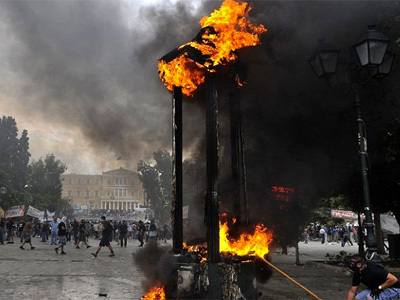 The events in Greece have been sending certain signals to the people of the other European countries, according to Douzinas. 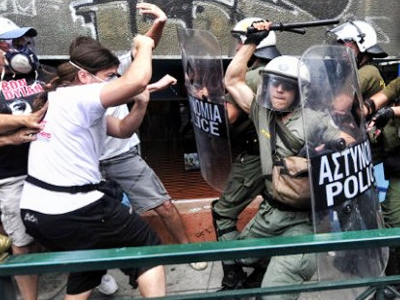 “Athens has had a series of protests in the last year. People got scared at some point, but the last 40 days when they were peacefully protesting changed everything. At that point the major world media changed its line. 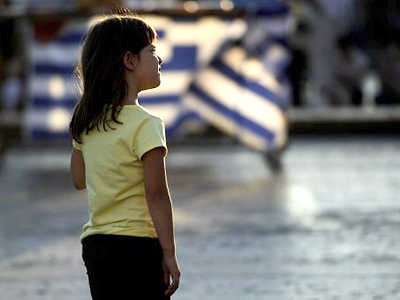 The New York Times, The Guardian – they all said Greece must default,” concluded Douzinas.